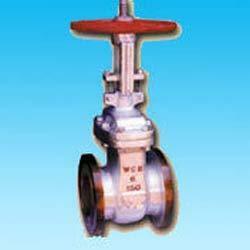 Pioneers in the industry, we offer safety valves, gate valves and ball valves from India. 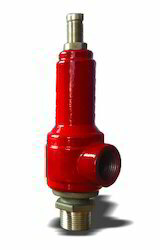 Safety Valves offered feature durable finish and are constructed using quality assured materials so as to provide for optimum functionality support in given applications. The different variations we offer in these safety valves include Pressure Safety Valves, Safety Relief Valves and others in different operational finish specifications. They are used for a wide number of purposes in different industry sectors and can also de designed and developed in specifications as demanded by the customers. These valves are precision engineered to provide efficient performance. These gate valves are ideally suited for steam, water, air, gas and other media. Ends flanged & drilled as per ANSI B 16.5 R.F. 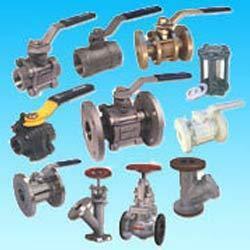 Ball Valves are delivered in carbon steel and different types of stainless steel materials. Other special materials are available upon special request. Ball valves with zero leak gland. Material of constructions: CF8, CF8M, ASTM A 216 WCB, CN7M, Hast-B, Hast-C. Temperature: 20 deg to 210 deg. End connections: Flanged End / Screwed end / Socket weld / BSP / NPT /Triclover end. Down stem sealing and floating ball. SS 304 / SS 316 Ball. Low Torque. * Mfg Stand: BS 5351. Looking for Precision Engineered Valves ?